Chronic care management and remote patient monitoring both take place outside the traditional healthcare setting, and are effective in early detection of negative health trends and prevention of acuities in patients with various conditions. 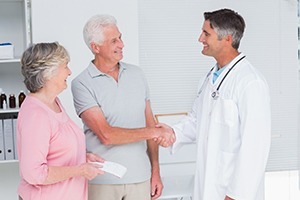 Speaking to your patients about the benefits of ccm and rpm is the first step in enrolling patients and helping them stay out of the hospital. Explain to your patients how CCM and RPM allow for improved relationships between them and their caregivers. Mention how they help restore the doctor-patient relationship by empowering clinicians, as well as take advantage of the latest technologies to get the quality care they need. In 2016, Capital Blue Cross did a study on heart failure patients to evaluate RPM’s efficiency. They found that hospitalization decreased by 30% and patient costs were decreased by more than $8,000 per patient. Let your patients know that any negative trends will immediately be noticed through the CCM and RPM platforms, allowing for a quicker intervention, and potentially keeping the patient out of the hospital. The CCM and RPM platforms give patients that resources they need to better understand their own health problems. Explain to your patients that they will be able to recognize their current health status and know if they go off trend (ex. : keeping track of weight, sleep, mood swings, blood pressure, and heart rate). Let your patients know that CCM and RPM services are there to empower their patients to live their lives without having to worry every minute that their health problems might worsen. By using CCM and RPM services, the patient will be reassured that you are monitoring them, immediately noticing any negative trends and taking care of them. Take the time to educate your patients about the CCM and RPM platforms and encourage them to give it a try. The more they know about the platforms and their benefits, the more likely they are to try them. For more information on how ChronicCareIQ is helping physicians start and maintain successful chronic care management and remote patient monitoring programs, schedule a demo today.